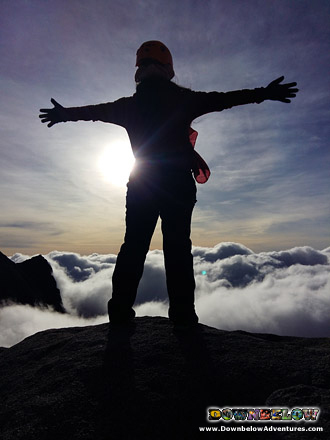 Limited daily slots for our 2D/1N Mount Kinabalu Climb Online Promotion! 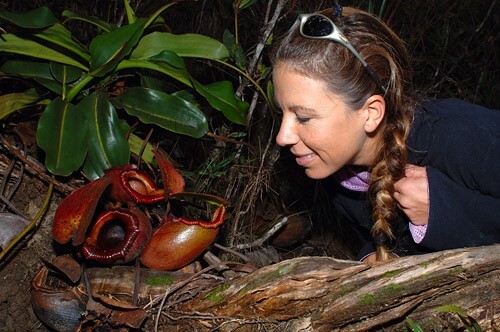 Book now to enjoy the lowest rate on our 2D1N Mount Kinabalu climb package. 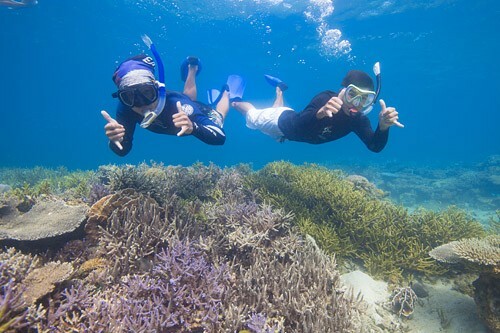 Book & pay online with ZERO credit card & bookings fees. THIS IS THE ONLY BOOKING METHOD FOR THIS CLIMBING PACKAGE. Send a copy of all climber passports to us via WE TRANSFER. This is required to validate your climbing permit. We will get back to you within one working day to confirm your permits have been authorised and confirm your booking. Do not book your flights or other aspects of travel until you receive our confirmation by email. If in the un-likely event we can not confirm your booking we will immediately fully refund your payment. 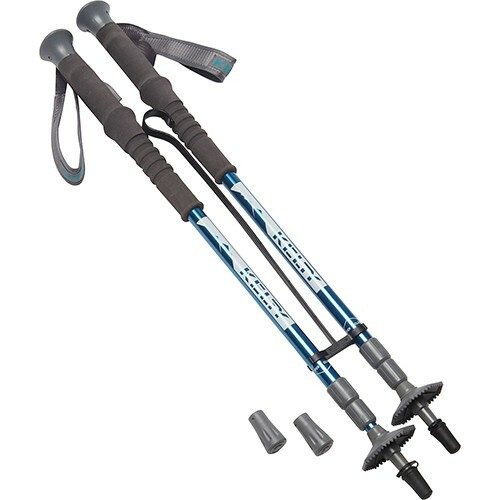 Once confirmed your mountain climbing package is non-transferable and non-refundable. The price you see is what you pay with no hidden extras! 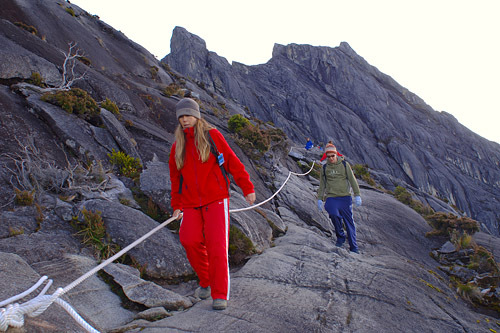 Secure your slot for Mount Kinabalu Summit Climb with our 2 Day / 1 Night Mount Kinabalu Climb Online Promotion. Pick up from Kota Kinabalu @ 0630 hrs and transfer to Kinabalu Park (2 hours drive). Registration with our team. Meet your mountain Guide and collect your packed lunch. Transfer to Timpohon Gate (Starting / Ending point) and set off for the climb with your mountain guide. We recommend that you take at least 6 hours to reach Panar Laban (3,272.7m). Take your lunch rest stop at Layang Layang and rest for at least 45 minutes. This slow pace will help reduce altitude sickness. Upon arrival at the Panalaban Plateau check in at Panalaban Hostel With Communal Bathroom basis. *** Kindly arrange your own hearty breakfast on this day before your early morning pick up. 0230 hrs wake up for a light supper and prepare to summit Low’s Peak (4, 095 m). Aim to reach the summit for sunrise. Take a moment to look at the stars, if its a clear night its simply stunning. 0615 hrs: Begin descent and return to Laban Rata Rest House for Breakfast. Continue your descent. Aim to arrive at Timpohon Gate (the starting and ending point of the climb before 4pm to avoid late climber fees, refer to the Important Information for Climbers). Arrive at Timpohon Gate and then transfer by Koktas to Kinabalu Park HQ. 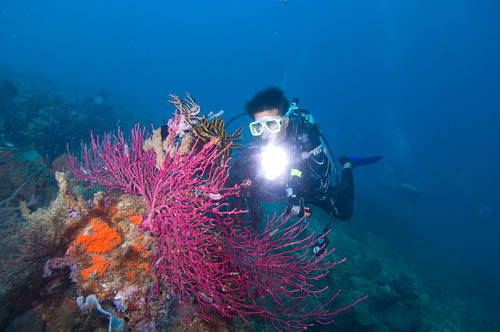 Returns by Downbelow’s Mini-bus – Shared Transfer to Kota Kinabalu. Meal includes: Supper and late Breakfast, Lunch. 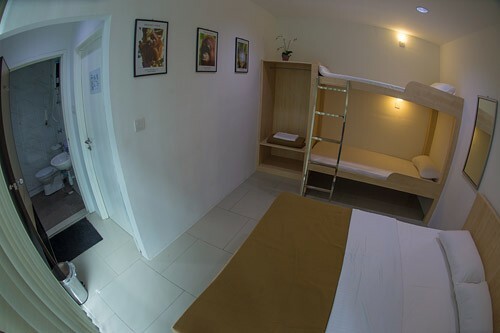 Check out our DOWNBELOW Adventure Lodge! 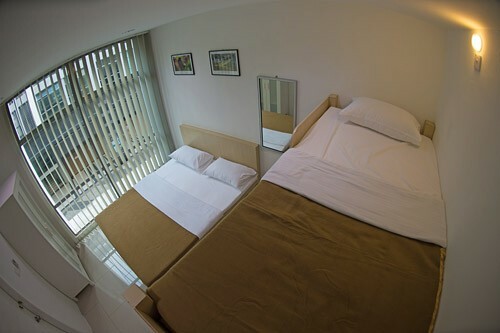 for clean, affordable and comfortable nights stay before and after your climb. Airport transfers can be included at preferential rates. 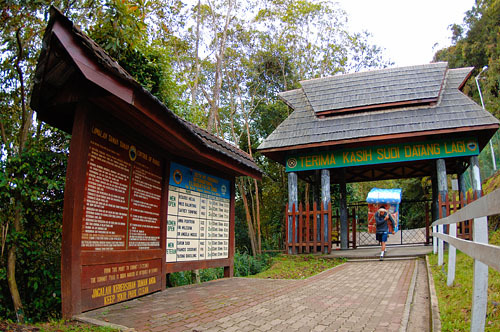 • Your extra luggage can be stored at Kinabalu Park HQ. MYR 10 per piece prior to climb. 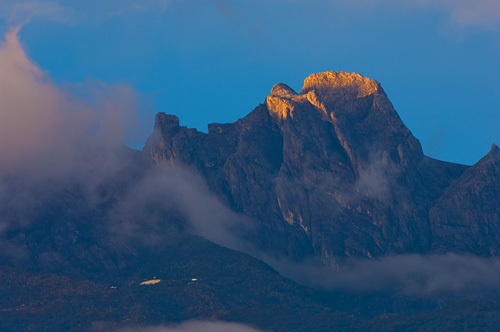 For your transfer from Kinabalu Park to your hotel in Kota Kinabalu, after your climb you may have to wait for other climbers to descend the mountain before we bring you back. Our last shared transfer from Kinabalu Park to Kota Kinabalu departs at 1800hrs. Should you or other climbers not be ready to depart by 1800hrs a private transfer fee of MYR 250.00 must be paid by the late climbers. Check out time is at 1030hrs. 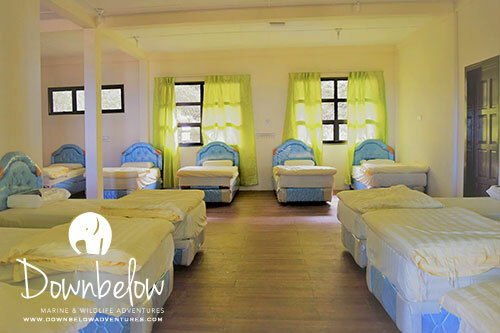 A fee of MYR 50 per half hour for stays at Panalaban hostels, will be levied for late check outs and is to be paid directly to the Resthouse / Hut. 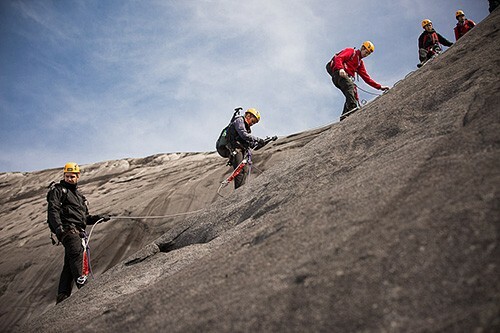 Your booking includes a private mountain guide for the Mt Climb (maximum of 5 climbers to 1 Mountain Guide). The mountain guides are compulsory and are with you to keep you safe, ensure that you stay on the correct summit path and should visibility reduce due to rain or fog, ensure that you do not become lost or disorientated. Also should you need assistance or evacuation they will summon it for you. We have our own licensed mountain guides. However on occasion especially at peak times our own mountain guide may be with other climbers and it may happen that your guide can not speak English very well. Rest assured however all mountain guides that we use are fully licensed and are expert mountain guides and your safety remains their priority. Children 16 years and below require a 2:1 ratio of climber to mountain guide. Therefore a child surcharge will apply. On your final descent, as per the Mountain Guide Associations regulation, climbers must reach Timpohon Gate (the starting/ending point) by 4pm. Failure to meet this cut off time will result in a late climbers fee of MYR 15.00 per hour to be paid directly to your mountain guide. Our Mount Kinabalu Climb Promotion is based on a first-come-first-served basis which means full payment if required to secure your place. 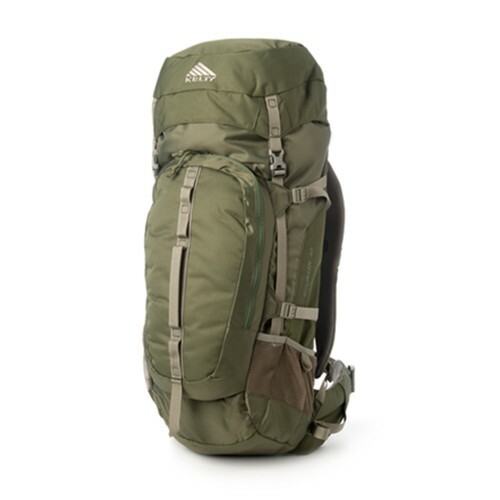 With good preparation your mountain climb will be more enjoyable and packing plays a key role in preparation, we suggest you keep your backpack around 6kg in weight. This 6kg will feel like 16kg after 1 km ! To make your packing easier we have split the requirement into the climbing sections. Panar laban (waiting point in the local Dusun language) is the location of the overnight waiting huts. Note: Bedding is provided and extra sleeping bags can be rented if required. Towels are provided for stays at Laban Rata Rest House only. You must bring your own for stays at Pendant Hut. 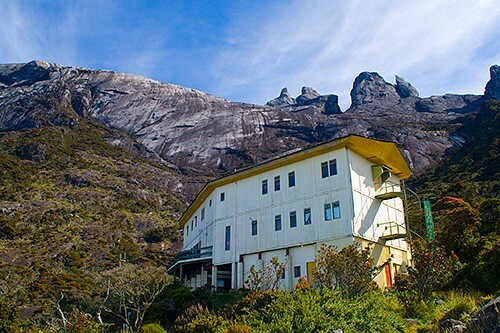 There is a luggage store at the Kinabalu Park HQ reception area where you can safely leave any items not required for the climb, the rate is currently MYR 12.00 per case and subject to change. Porters are available and can be organised at the KNP HQ. The minimum weight required is 10kg. Should your bag weigh less than 10kg, the charge will still be calculated based on 10kg. On average you can expect to pay MYR 130.00 per round trip Timpohon – Laban Rata – Timpohon for a 10kg bag. A. 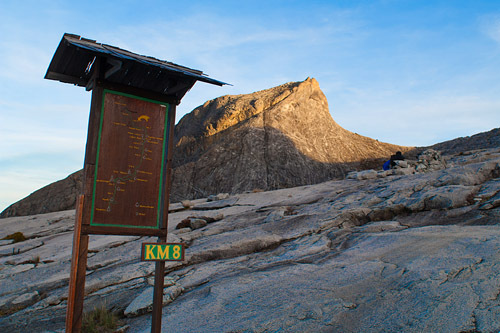 If possible, its a good idea to stay overnight at Kinabalu park the night before your climb. This way you avoid the 2 hour drive from KK to KNP the day of your climb and can begin climbing at your leisure. If you are unable to stay overnight at the park HQ the night prior then we will pick you up from your accommodation in KK City between 0630hrs – 0700hrs. This means that you will begin your climb around 09:30 hrs. A. We have our own licensed mountain guides. However on occasion especially at peak times our own mountain guide may be with other climbers and it may happen that your guide can not speak English very well. Rest assured however all mountain guides that we use are fully licensed and are expert mountain guides and your safety remains their priority. A. Yes with a maximum of 5 climbers to 1 guide. We would suggest bringing your own stock of 1 or 2 (1.5 litre) bottles of water per person on your ascent day. At Panalaban where you will have your meals during the climb you can purchase mineral water at your own cost at around MYR 14.00 per 1.5 litre bottle. Clients will be asked to provide a copy of their valid passport / IC no less than 10 days prior to the climb. Also, read and complete standard liability forms and return them to us no less than 10 days prior to the climb. Parent or guardian must sign for participants under 18 years of age. A medical declaration must be read, completed and returned to us no later than 10 days prior to your climb. This program is not suitable for children below 10 years of age.